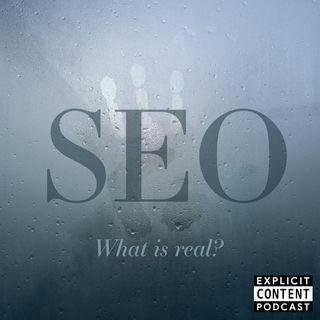 ECP03 - SEO - What is real? * If you didn’t do anything to drive better SEO, would Google index your site? * If your site has more than one way to reach your content, will there be a duplicate content penalty? * When you change your site, or Google ... See More changes their algorithm, do I have to make adjustments immediately? * How come we are not number one for this keyword? My CEO is confused and demanding results. * Do social media links help my SEO link count? * How should I promote my content to get more SEO benefits? * Can I sprinkle keywords all over my posts to get better results?